Loquacious politician who represented Massachusetts in both the House of Representatives and the Senate. He was appointed the United States Secretary of State under three presidents. He worked as a lawyer and teacher after attending Dartmouth College. He was part of the Great Triumvirate along with Henry Clay and John C. Calhoun. His father, Ebenzer Webster, served as a judge, militia man, and farmer. 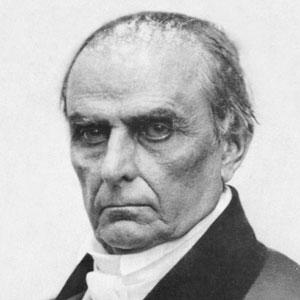 In 1839, he was offered the position as Vice-President to President William Henry Harrison, but turned it down.